Backpressure refers to anything that opposes the positive flow of exhaust gases from the engine. 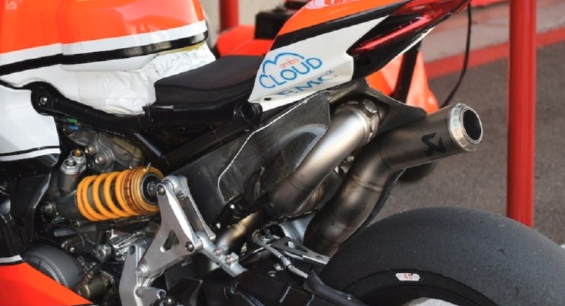 This can be baffles, tight bends in the exhaust piping or ‘pinch points’ where the diameter of the tubing tapers down. A high back pressure system will suffer from increased fuel consumption and decrease in horsepower output due to its restrictive design. So why is it that Billy felt he lost all his low-end power when he installed his 5-inch straight pipe exhaust? It is important to understand exhaust gases work in pulses that relate to the RPM & fire order of your engine, the more cylinders the more continuous the pulses will be. The concept of velocity plays a significant role on how companies design exhaust systems, playing the balancing game of finding the optimal diameter that will allow exhaust gases to travel at the highest velocity possible but won’t be too narrow where the design becomes restrictive in terms of gas volume that is being moved. A common analogy used to explain this is the garden hose. If you were to press your thumb against the hose, water will suddenly exit much faster. However, if you were to cover too much of the exit the actual amount of water escaping will be very little. Large exhaust diameters will become noticeably more beneficial throughout the upper range of an engine’s powerband, as the engine’s rpms increase so does the amount exhaust gases that needs to be expelled due to how frequent combustion is occurring. However, the sacrifice is that low to mid range power is lost and the engine will always need to be revved out to stay within the powerband. Exhausts are arguably the most popular modification riders do to their motorcycle, exhausts not only add performance but change the look and sound of the whole riding experience. 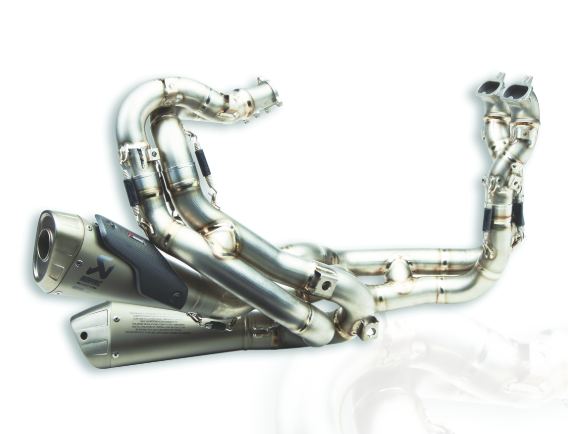 Motorcycle manufactures invest countless hours of R&D into the OEM exhaust systems to meet strict emission laws, fuel consumption requirements, and sound regulations before final production. Therefore, manufacturers prioritize environmental efficiency rather than horsepower numbers. This leaves a huge area for improvement when it comes to overall performance for your motorcycle. The second most frequent asked question we get from riders is “Should I get a Slip-on exhaust or a full system?”. The first is “Do I need a new tune for this exhaust?” but we’ll get to that later. Slip-On Exhausts are the most sensible and economical option for most riders, get most of the benefits of a full system without the hefty price tag. 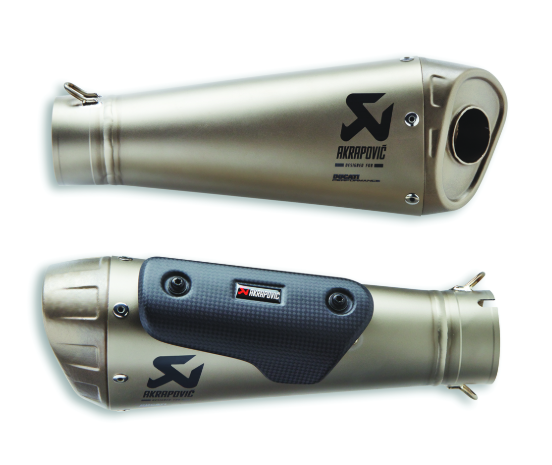 Full System Exhaust are a no compromise performance option. Often the best choice for people who are looking into racing or competition use with their motorcycles. Unlike slip-on exhausts, full systems include the entire exhaust manifold, flanges and collector pipes along with the muffler. Available in an array of materials ranging from durable Stainless steel to exotic titanium. The few downsides include: cost & fuel remapping. Do I need to add a performance filter & re-tune? Imagine going for a brisk run and only being able to only exhale more air but not being able to breath more in. If you upgrade your exhaust the same should apply for your intake whether that be larger intake ducts, plenum or filter. It should be noted that all motorcycle manufacturers have to currently meet the EURO 4 emissions standards to be able to sell their product in North America and Europe. This causes the initial fueling to be quite restrictive, and bikes tend to run quite lean from factory. This can cause excessive heat issues in some cases. Adding an exhaust will only contribute to this issue as more air is being pushed out without the addition of added fuel. Contrary to belief the ‘popping’ noise from deacceleration is not from the bike running ‘rich’ but the AIS (Air Injection System) pumping more air to the fuel it does not have. This creates a small vacuum of air that generates a ‘pop’ sound when it exits the end of the tail pipe. Altering the airbox to increase the airflow will only be useful if you can compensate with more fuel usually this is done with adjustments directly to the ECU (flashing) or secondary fuel modules (Power Commander, Bazzaz etc). Decide what application you’re using your motorcycle for and make your decision without looking back! If you are still unsure, you can get in touch with one of our Parts consultants to help you choose your perfect ride.